On September 12, 1962, President Kennedy delivered a speech to more than 35,000 spectators gathered at Rice University in Houston and marked the beginning of a new era in the “space race” with the Soviet Union. His stirring speech was a defining moment not just for his presidency and the United States but also for the entire world. “We choose to go to the Moon in this decade and do the other things, not because they are easy, but because they are hard,” Kennedy declared, adding that the United States did not intend to stay behind the Soviet Union in the “space race.” He made a promise that by the end of the decade, an American would be the first to step on the Moon, and as it was, about seven years later, Neil Armstrong stepped onto the lunar surface and brought a significant victory in the competition for technological dominance with the Soviets. It’s now been nearly half a century since Apollo 11 landed on the Moon, but even today, many people refuse to believe that the landing was real, and thus, many conspiracy theories about this particular event have arisen, with most of them claiming that the U.S. government somehow perpetrated a hoax. 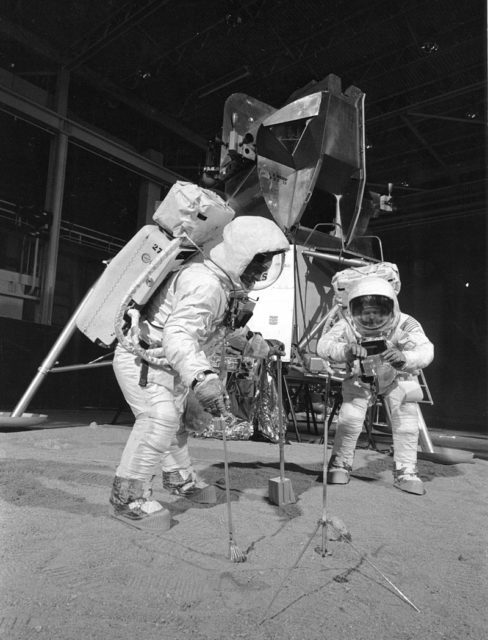 Despite the fact that over 10,000 photos of the first Moon landing were made public, the veracity of the greatest achievement of mankind still has been questioned by many people. 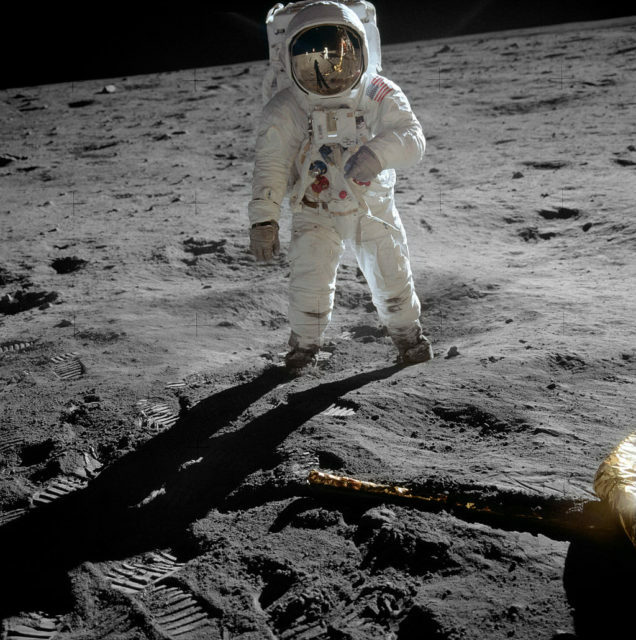 Conspiracy theorists claim that Hollywood helped NASA to pull off the biggest hoax in history, often pointing out the numerous oddities, such as the waving flag, lighting anomalies, lack of stars, and the duplicate backdrop. However, only a few people went as far as Bart Sibrel, who is probably the most famous of all moon-landing deniers. The controversial documentary maker and writer is convinced that the CIA orchestrated the landing on the Moon and he is positive that up to this day, no human being has ever set foot on the Moon. He worked quite hard on the subject, producing four films, including A Funny Thing Happened on the Way to the Moon (2001) and Conspiracy Theory: Did We Land on the Moon? (2001). However, his movies didn’t bring him as much attention as did the altercation he was part of in 2002, when he was punched in the face by Buzz Aldrin during a discussion concerning the moon landing. Astronauts Buzz Aldrin and Neil Armstrong in NASA’s training mockup of the Moon and lander module. Conspiracy theorists say that the films of the missions were made using sets similar to this training mockup. Buzz Aldrin, who was the second man to step on the Moon behind Neil Armstrong, was not the first one to be harassed by Sibrel, who also ambushed other Apollo astronauts over the years, demanding that they swear on the Bible that they walked on the Moon while he would film them. But this time, things ended up badly for him. 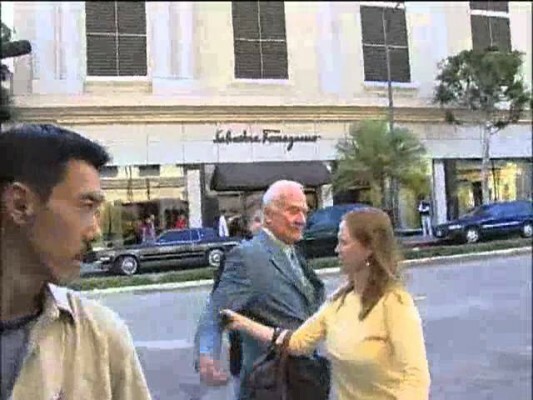 It was September 2002, and Buzz Aldrin, accompanied by his stepdaughter, was arriving at a hotel in Beverley Hills where he was about to give an interview for a Japanese educational program, when Bart Sibrel showed up outside the hotel. There is a short video on which you can clearly see that it didn’t take Sibrel long before he started his usual routine of harassing Apollo crew members, asking Aldrin to swear on the Bible. His demand appears far from polite and as you can hear in the video, he starts calling Aldrin a coward and a liar and accuses him of getting money for something he claims Aldrin didn’t do. 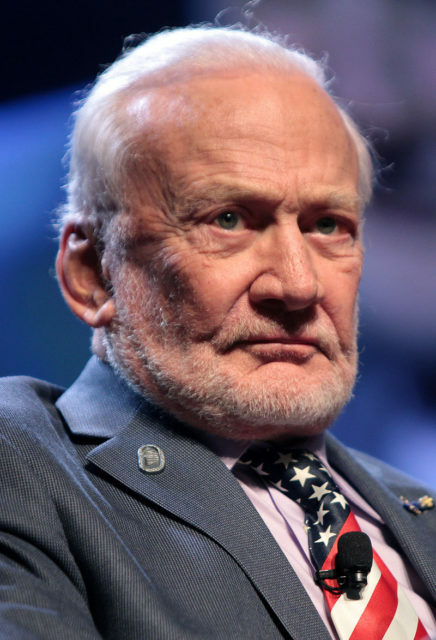 The 72-year-old Aldrin responded by hitting Sibrel in the face. The incident was investigated by the police after the conspiracy theorist filed a suit, but charges were dropped after witnesses told the police that Sibrel provoked Aldrin by aggressively poking him with a Bible. 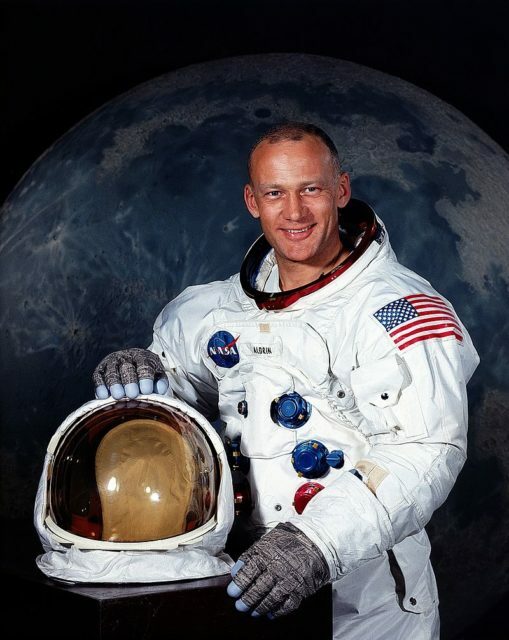 Buzz Aldrin, who spent nearly 300 hours in space, is one of the most popular astronauts in history. Prior to becoming the second man to walk on the Moon, Aldrin served in the U.S. military as a fighter pilot and completed 66 F-86 combat missions during the Korean War. As for Bart Sibrel, he needs to work much harder to prove that the moon landing was a hoax, especially since NASA released thousands of photos from the Apollo moon mission. If it didn’t achieve anything else, harassing Aldrin might have helped him see some of the stars supposedly missing in the photos.